QUICK and simple goodbye - and once you leave, stay away. Coming back while your child is crying will reinforce the idea that crying made you come back. SMILE even when you do not feel like it. Make every effort to show how much you love the daycare situation and all the fun that is in store for the day. 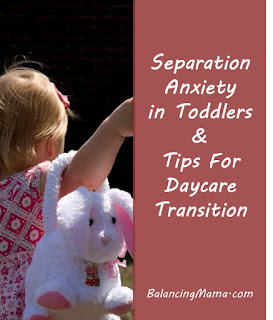 It is also a good idea to visit the care location with your child ahead of time and spend some time getting to know the kids, caregivers, and toys. 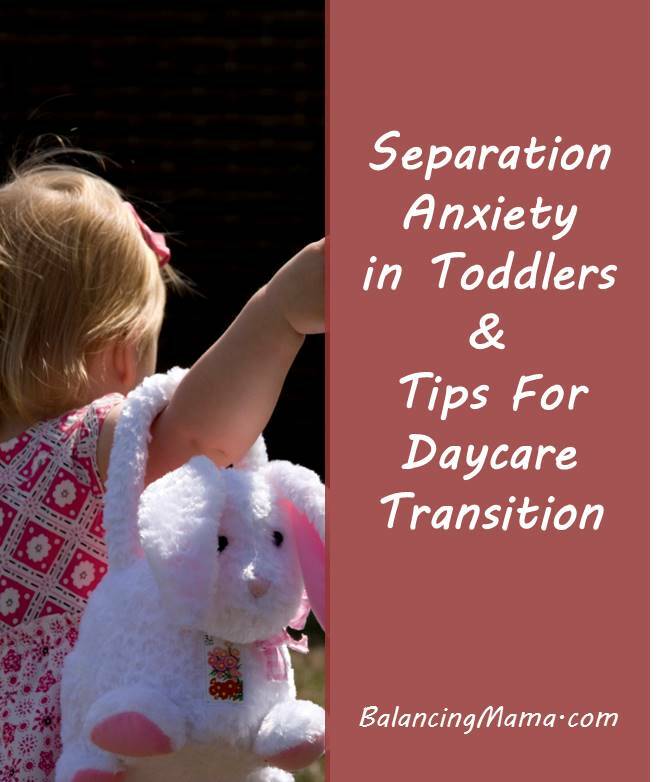 No matter what, the first few days in a new daycare are going to be difficult, especially if your toddler has entered into the separation anxiety phase. But stick with it and monitor the child's reactions to you, home, and the center. Give it time. Kids are generally very adaptable and adjust in a few days. Now.. to follow this advice myself! Here's hoping for a better day with fewer tears next week.